A Stirling-based company is to benefit from one of the largest investments in Scottish engineering and manufacturing in recent years, doubling its capacity and creating new jobs on the site. The owner of TechnoNICOL (the largest manufacturer of construction materials in Russia and Eastern Europe), Sergey Kolesnikov, is to invest £36.8m (€42.3m) in the Superglass facility at Thistle Industrial Estate in Stirling. Since Mr. Kolesnikov’s acquisition of Superglass in 2016 through his Inflection Management Corporation vehicle, the business has entered into a close partnership with TechnoNICOL and is now a key regional hub for the Russian construction materials giant. Ken Munro, Chief Executive Officer of TechnoNICOL UK, Ireland and USA which incorporates the Superglass business, said: “TechnoNICOL’s backing is a real vote of confidence in Scottish manufacturing, both in terms of the quality of the work we do here and the expertise of the workforce. It is a validation of our strategy within Superglass over recent years and very personally satisfying for me to see further consolidation of the initial investment at our regional headquarters. It is also an important milestone in the total transformation that this business has experienced over the last three years – we have delivered a £10M improvement in profitability over this period and significant double-digit sales growth in the current year. TechnoNICOL has 52 manufacturing facilities across Russia and Europe, but it has opted to throw its weight behind Superglass. The investment will deliver a significant growth in new full-time jobs over the next 18 months to accommodate and fulfil the increased capacity. These jobs will be created across the breadth of the organisation, but primarily in the operations team as well as in product marketing and innovation. 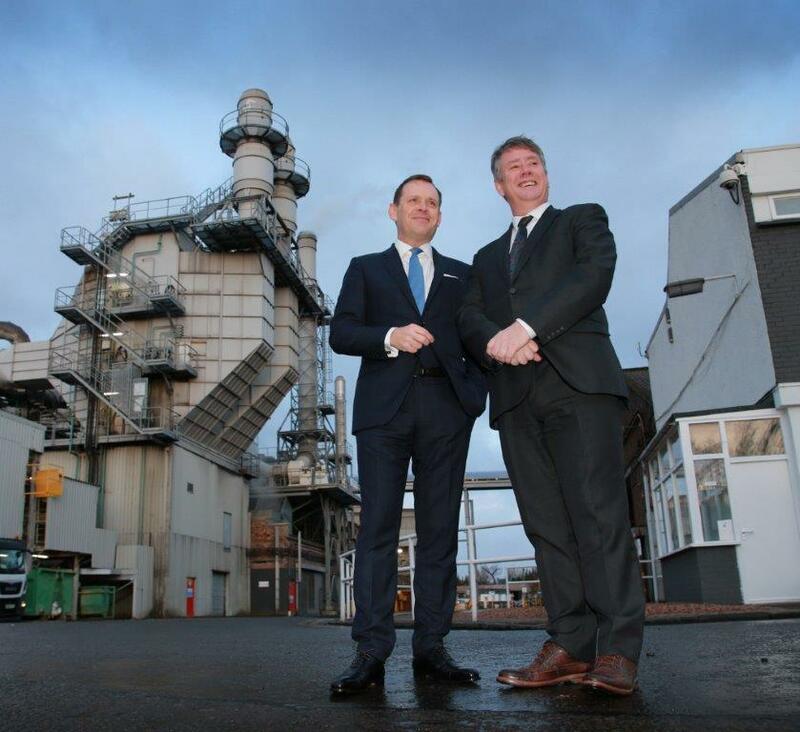 This project will take Superglass beyond environmental compliance, and builds on the company recently being awarded Scotland’s first ever Sustainable Growth Agreement by SEPA, while allowing the plant to double its output from 27,000 tonnes to 60,000 tonnes annually within two years. Substantial building work will take place on the site to accommodate production equipment, including a 187-tonne furnace and curing ovens. Cooling, cutting and milling equipment will be replaced and an automatic packing system will be installed. Building work will start early in the new year. Since becoming CEO of Superglass in June 2015, Munro has guided the company through the delisting process and returned it to profitability. He subsequently was appointed to a new role running all TechnoNICOL businesses in the UK, Ireland and North America. Cabinet Secretary for the Economy, Jobs and Fair Work, Keith Brown, said: “This investment, and the jobs it will create, is excellent news for Stirling and for the wider Scottish economy. It rightly shows real confidence in the highly-skilled Scottish workforce. “It will help position the Stirling site to take advantage of greater opportunities in the future and will also help to deliver significant environmental benefits. “I am delighted that Scottish Enterprise has been able to support this project with a grant of £477,000. Superglass’ expansion is backed by Scottish Enterprise. The economic development agency has committed £477,000 towards the project to deliver jobs and growth for the Stirling and Scottish economies. Jim Watson, director of innovation and enterprise services at Scottish Enterprise, added: “Superglass is an ambitious Scottish company with a strong leadership team clearly focussed on its long term success. Through our account management support we work intensively with Ken and his team offering advice and assistance to support this growth ambition. Glass wool insulation produced by Superglass is made from up to 84% recycled glass, and is estimated to save around 300 times the amount of energy used to manufacture it.